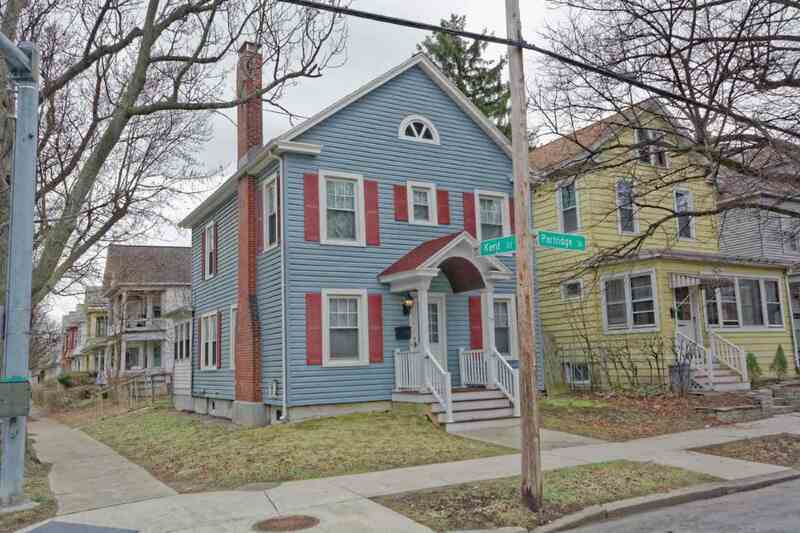 Conveniently located near colleges & hospitals this 3-4 bedroom, 1.5 bath home includes hardwood floors, central air & lots of original woodwork. Decorative brick fireplace, formal dining room, a nicely done sun room & fenced yard all add to the appeal of this charming colonial currently used as a student rental with locks on the individual bedrooms. Roof replaced Oct 2017.